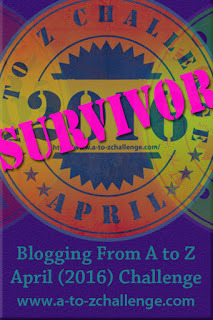 The last day of the A to Z blogging challenge is here! Congratulations to everyone who took part. I hope you’ve enjoyed it as much as I have. I’ve had so much to read, and still to read, as I continue to explore new blogs. Take a look at this picture. It’s Durham cathedral’s Galilee Chapel. Zigzag patterns are a common representation of the chevron, a heraldic symbol. It is very noticeable in Durham’s stone carvings – the pillars half way down the nave. Zigzag style is also found at Lindisfarne Priory, an early Celtic Christian site closely connected to Durham. In Durham, the Galilee chapel is not only decorated with carvings, but paintings too (above the arches). The style of the chapel is possibly influenced by Islamic buildings in Andalusia. The paintings were whitewashed during the Reformation, then unfortunately, when the Victorians scraped off the whitewash, they removed much of the paintwork underneath. Must have look gloriously colourful in its heyday. Bosses – a carved knob located in the vaulted ceilings, especially where the ribbing meets. Often carved to represent animals, birds or human figures. These come from Worcester and Hereford cathedrals. Gargoyles – carved grotesques used to drain water away from the walls. The Catholic church used them to illustrate evil. These days they have a more humorous take. This one is from Chichester Cathedral. Misericord – the Latin for ‘mercy’ These wooden tip-seats were installed in the choirs stalls to provide relief for the choir priests as they spent long hours chanting. They could be raised up when not in use and the undersides were frequently carved. Some of the oldest are in Exeter cathedral. Rood screens – the screen that separates the nave from the chancel, a physical and symbolic division between the clergy and lay people. Rood means cross and typically mounted above it would be a crucifix. The carvings on the screen would often include latticework, so it was possible to see through the rood. During Lent, the rood would be veiled, then uncovered on Palm Sunday as the congregation gathered before it to hear the priests read the Passion story. Thank you for reading. I hope you enjoyed my theme. Love the Chichester gargoyle. I go there quite often but I’ve never noticed it! Next time . Great series, I even forgive you for not featuring ‘my’ cathedral in Winchester as your W. Wells is great. I went to a concert there not that long ago. There is suppose to be a gargoyle of the Queen there too! Too many great cathedrals. I did do a little on Winchester in my Nave post. Well done on reaching the end, thanks for the tour round the cathedrals of Britain, very informative. Thank you, I enjoyed researching my theme. There is definitely an Arabesque look to those arches in Durham. Never knew about that zigzag style before. This has been a fascinating run of posts. Congrats on getting to the end! Early Medieval churches were influenced by the style, I guess. Mosques became cathedrals as the Moors were pushed out of Spain. I never realized how beautiful ceilings could be. I’ll look up more often. Thanks for sharing all this with me. My goodness, it’s absolutelly stunning! Congratulation on compliting the challenge. I did enjoy it a lot myself, and I too I’m still playing catch up with many blogs. But that’s part of the chalelnge too and it make the fun last a bit longer. Congratulations – I love your theme and all that information!